The 40-mile long Nabesna Road is a spur of the Glenn Highway’s Tok Cut-Off, leaving the highway almost midway between Chistochina and Mentasta and providing access to the northern reaches of Wrangell St. Elias National Park and Preserve. 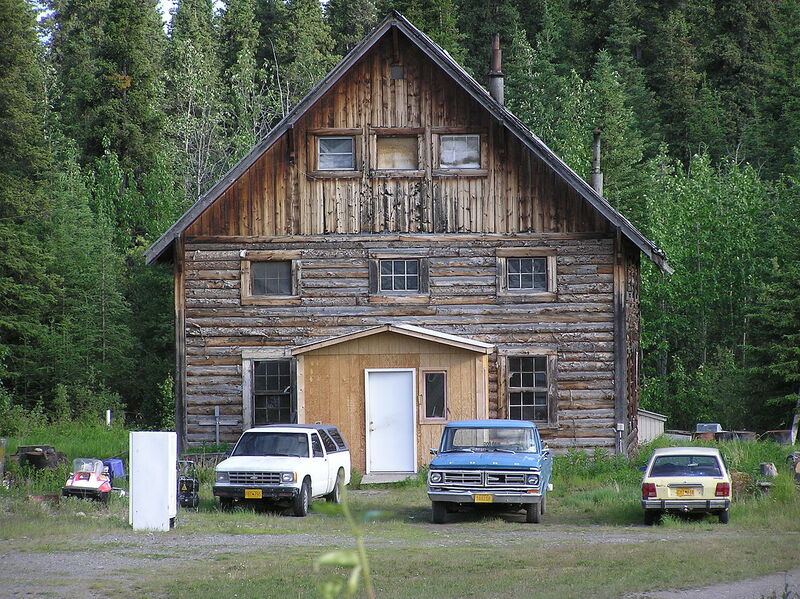 Originally constructed in 1933 to provide access to the Nabesna Gold Mine in the northeastern corner of the broad Copper River Valley, the road passes one of the oldest existing roadhouse sites in the state. 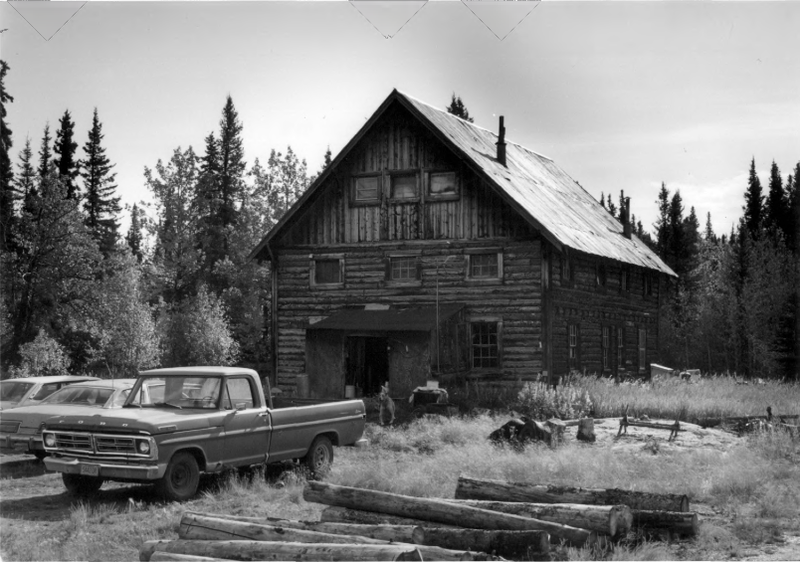 The original Slana Roadhouse was built in 1912 by a freighter, miner, mail carrier and fur trader, Lawrence DeWitt, to serve travelers on the trail to Chisana, the site of the last great gold rush in Alaska. The first small log roadhouse no longer exists, but the second, larger roadhouse, built in1928, is still owned by DeWitt’s descendents. When gold was discovered along the Chisana River in the spring of 1913, one of the routes to the area was an 80-mile trail which left the Valdez-Eagle Trail at the mouth of the Slana River and traveled southeast to Chisana. The gold ran out and Chisana dwindled within a few years, but the Nabesna Gold Mine opened 50 miles southeast of Slana in the 1920’s. 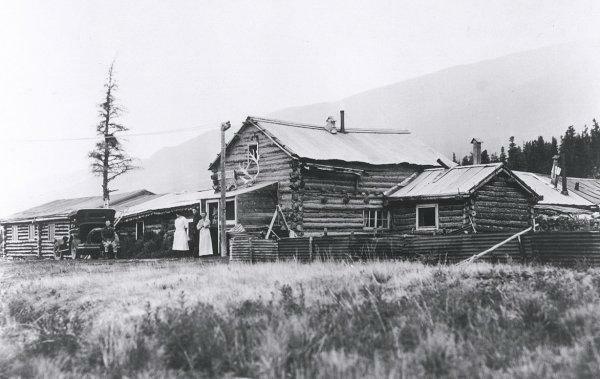 The mine employed 60 to 70 men, and most of their food, tools and equipment arrived by way of Slana, encouraging DeWitt to build a second, much larger roadhouse. Born around 1890, Lawrence DeWitt made his way to Alaska around 1910 and settled in with the Ahtna Athabascan tribe of Chief Nikolai, marrying his daughter Belle. DeWitt got the contract to carry mail between Slana and Nabesna, by pack horse in summer and dog team in winter, and he staked a homestead claim where the Slana River ran into the great Copper River, several miles east of the Valdez-Eagle Trail. 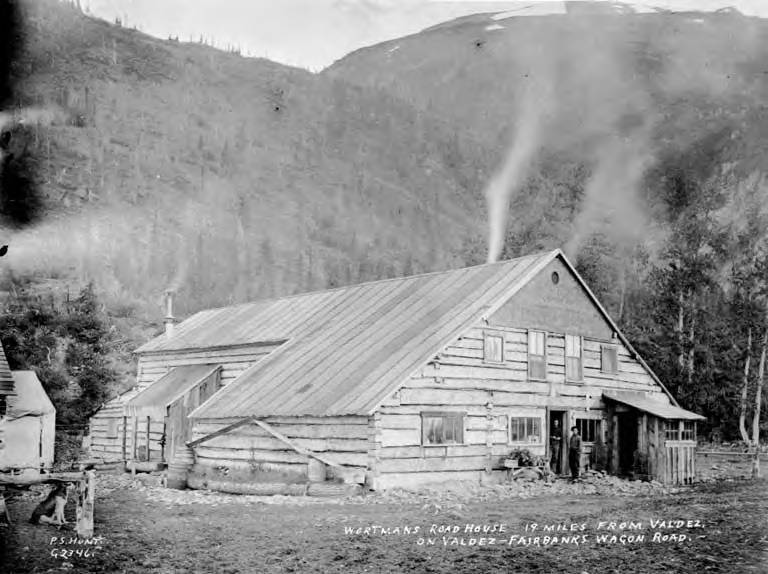 In 1926 the Alaska Road Commission began improving the Eagle-to-Valdez Trail from Gulkana to Slana, and two years later Lawrence Dewitt hired Charlie Smelzer to construct a large spruce log roadhouse, 32 by 45 feet and two-and-a-half stories high. The National Register of Historic Places notes the foundation was rock with vertical wood posts at the corners. The structure’s first two floors are built of three-sided logs nailed into the wood posts, and vertical board siding covers the gable ends of the attic. All of the logs and dimensional lumber used in the roadhouse, including the 10′ 1″ x 6″ flooring planks, were cut on DeWitt’s homestead. 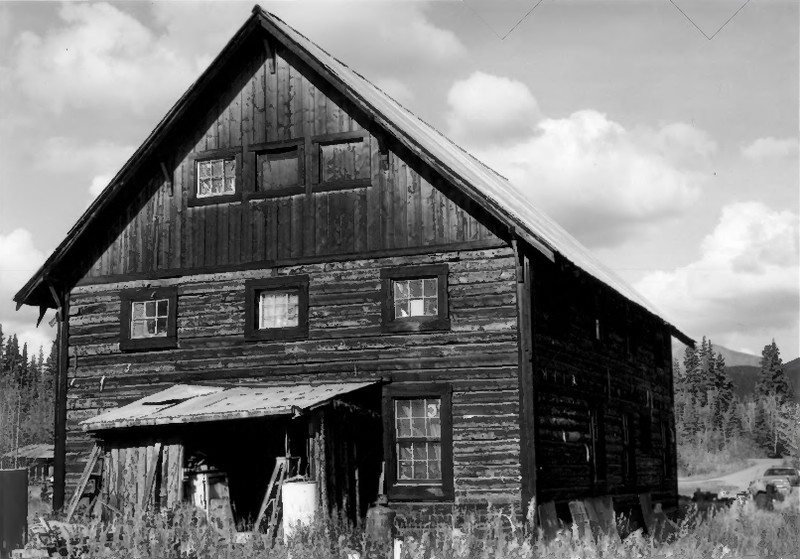 He received patent to the land in 1932, and the small community of Slana grew up around his roadhouse. 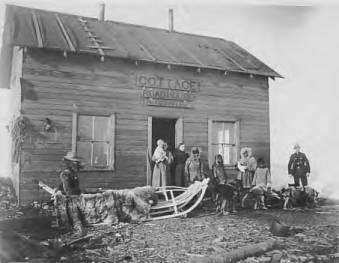 DeWitt provided meals and lodging for travelers, and he supplied horses when needed, keeping a stable of 24 horses and a kennel of 35 sled dogs. The notes go on to describe other structures which were historically associated with the roadhouse, including a 10 x 15 foot log garage, a 12 by 15 foot log storehouse, a cache, a dogyard with several log doghouses, and a fishwheel anchored to the bank of the Slana River. Lawrence DeWitt disappeared during the winter of 1937, and was assumed to have drowned in either the Slana or Copper River. After his death, his wife leased the roadhouse to a series of individuals, but in 1953 the Slana-Tok section of the Glenn Highway was realigned and moved a mile to the north, bypassing the Slana Roadhouse entirely. The roadhouse and outlying structures have been used as a private residence by the DeWitt family since that time. 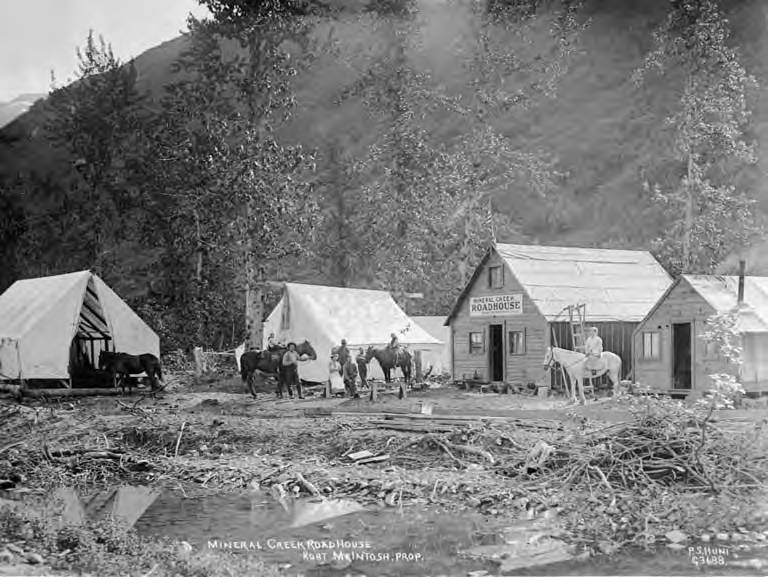 This entry was posted in Glenn Highway, Roadhouses and tagged Ahtna, Alaska Road Commission, Athabascan, Belle DeWitt, Charlie Smelzer, Chief Nicolai, Chief Nikolai, Chisana, Chistochina, Copper River, Glenn Highway, Lawrence DeWitt, Mentasta, Nabesna, National Register of Historic Places, Slana, Slana River, Slana Roadhouse, Tok Cut-off, Valdez-Eagle Trail, Wrangell St. Elias on May 4, 2015 by Helen Hegener.